Today’s First Group. Picture taken with my iPhone 360 panoramic application. 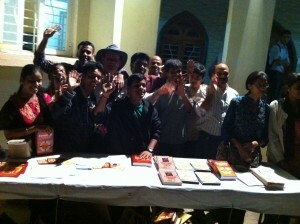 One and a half hours sharing the Catholic faith to an enthusiastic group in north Bombay. The Second group was on Vasia India, north of Bombay. 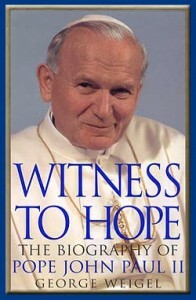 Here we had the leaders of the various Catholic groups. Over 1000 people filled the room. I hope to go back here some day. There were many charismatics and the spirit and enthusiasm and joy of the Faith was palpable. 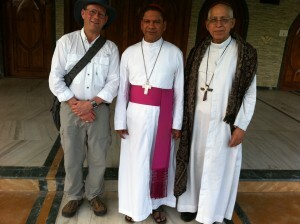 Below: Me with Archbishop of Vasai India – Felis Anthony Machado and Bishop Agnelo of Bombay. The second picture is of me with all the young people “manning” the book table.